'God is with us.' We hear this phrase a lot. But what does it really mean? For many, the notion of God’s presence is vague and difficult to define. with his people and show us what it actually means to draw near to God. This study has stirred a fresh hunger in my soul for the presence of God. I highly recommend it. It will require some digging and focused study. 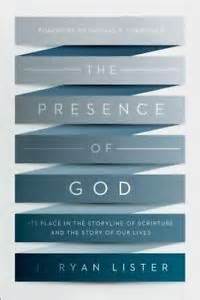 what God Himself has to say about His presence, you will love this book. Jesus said "My sheep hear my voice." The fact Jesus said this tells me He wants to speak to us. Which makes me want to listen. But discerning His voice can't be reduced to a formula. Nor is it as complicated as I make it. I love this book! It's both deeply spiritual and thoroughly practical. It's given me hope that it is possible to hear His voice. Here's what the publisher says about it. "Jesus takes it for granted that you will hear his voice. But how do you hear it? How do you separate it out from the cacophony of other voices you hear everyday, including those of your own desires? Is your experience of Jesus' voice something purely subjective, or is it something you can talk about with others and have them confirm? Gordon T. Smith helps open your ears and heart to the depths of the inner witness of the Spirit. By learning to attend to the Spirit, you will learn to hear and heed the voice of Jesus in everyday life. This book speaks to the mind and heart of every Christian who longs for a closer, more intimate walk with Jesus."